Earlier this week, Oculus announced a major new update of Oculus Home on the Gear VR is set to begin rolling out to users over the next few weeks, adding significant improvements to the mobile VR platform. Now, Oculus CTO John Carmack has provided detailed insight into the techniques used to achieve the Gear VR’s improved visual quality. 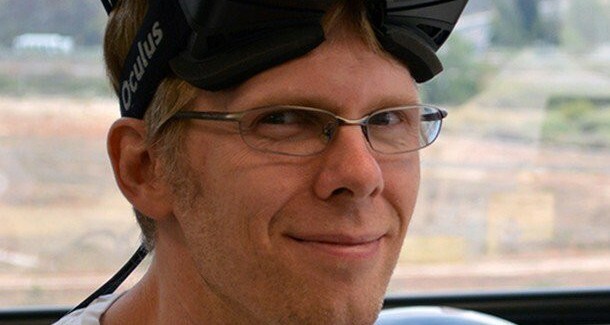 Carmack has been focusing primarily on mobile VR since he joined Oculus in 2014, and his extensive optimization efforts on Samsung’s Gear VR has been integral to the company’s success in delivering the best mobile VR platform currently on the market. As a result of Carmack’s work on the new software update, Gear VR users will see a noticeable increase of 2x the pixel resolution, and an improvement in load times as much as 3x faster than before. In a Facebook post, Camack explains that the visual improvements on the Gear VR is “much more than just a rewrite of Home,” and is actually the first application developed for a completely new Oculus runtime system. In his post, Carmack points out that the boost in visual quality is attributed to a number of factors that combine to deliver improvement, however, ‘Cylindrical TimeWarp Layers’ is the new buzzword for Carmack’s new visual optimization technique that helps make it happen. Currently, Oculus Home is the only application on the Gear VR that takes advantage of Carmack’s new visual optimization technique—but hopefully, it will be applied to other experiences and applications across the Oculus platform at some point in the future.